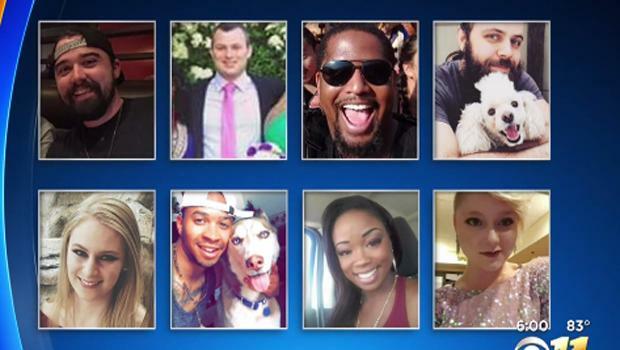 PLANO – Newly released documents are shedding light on the mass shooting in Texas that left eight people and the gunman dead earlier this month. Spencer Hight killed his wife, Meredith, and seven of their friends on September 10 at a Dallas Cowboys football watch party. Hight was then shot and killed by police. Just released documents offer new details about what officers found at the crime scene, CBSDFW reports. The warrants show what police walked into that Sunday, and what the shooter was planning. Investigators found multiple guns, hundreds of rounds of ammunition and evidence that Hight went looking for his estranged wife at work before finding her at home, hosting a football party with friends. A witness was in the backyard that Sunday when she looked through a window and saw Hight arrive. He was armed. That witness heard Meredith ask Hight, "Did you really have to do this?" That is when gunshots started to ring out. The witness saw Hight fire at police. Plano officers then killed the gunman, but not before Hight took the lives of eight people — including estranged wife Meredith and the couple's close friends. Police spent the next several days gathering evidence. Authorities said that Hight was armed with a .38 caliber handgun, an AR-15 rifle and a folding knife. Inside of his car, a Dodge Avenger, police also discovered rounds of ammunition and binoculars. Back at Hight's apartment, investigators found another rifle, more ammunition and gun accessories. Police records also show Hight's behavior at a Dallas-area bar prompted employees to call 911 but it wasn't soon enough to prevent him from carrying out his rampage. Search warrants show Hight displayed a knife and handgun to bar employees in Plano on Sept. 10. He was escorted to his car to put away the weapons. Two employees were concerned enough to follow Hight as he drove to the nearby home of his estranged wife.